Michael Kors Large Jet Set Pocket Bag, it literally could carry everything I needed in life, its freaking huge! The pocket on the front has a space to store all your credit cards, store cards, i.d. cards, and the large inside has your key clip, cell pocket, zipper pocket, and 3 additional pockets. To be entered to win this bag all you have to do is be subscribed to my youtube channel, there are ways to earn extra entries as well so click this link and it will take you to a rafflecopter post here on my blog that will show you the multitude of social media ways for you to earn extra entries. This giveaway ends on February 14, 2016 so get all your entries in before then. Thank you all so much for supporting my dream of building my blog and youtube channel, and for always leaving me such lovely comments, you guys are seriously the sweetest people ever. Here is today’s Main Channel Video (where I desperately search for the non existent dustcover lol). Thank you for always giving back to your viewers!! And congratulations on all your subbies! 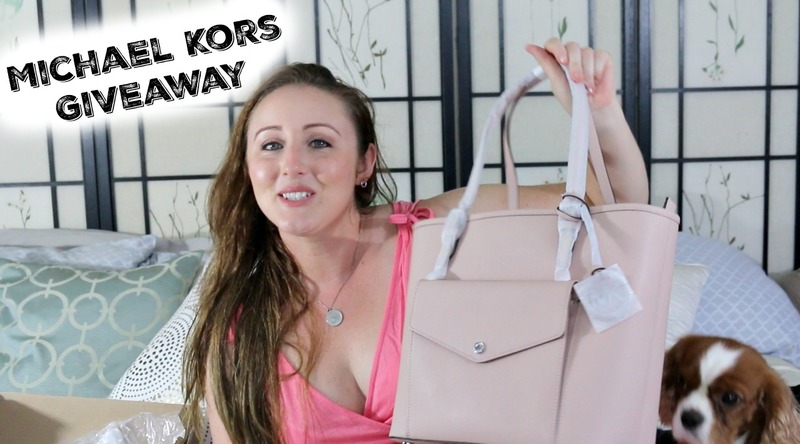 Congrats on your subs and that MK purse is gorgeous! OMG This is insane. Hahahaha. You're the most generous youtuber I have ever subscribed too. Thank you. You deserve those subs. Congratulations on the subscribers and thank you for being so incredibly generous. Fingers and toes crossed! Congrats on all of your subbies. I'm going on 600 now and plan on a giveaway as well. US newbies mus stick together! Much love and luck on your channel!